Five men on the court. Short range shots for two points. Outsider perimeter shots for three points. Fouls. Free throws. Five fouls per player maximum. Heck, basketball is an easy to follow sport. What High Flying Bird is aiming to do is to give us a scoop on NBA basketball without though giving us one piece of basketball action. There is a financial game being waged between the owners and the players in what is the movie’s thesis. If you ever thought athletes are prima donnas that make way too much money (I still do), this film by director Steven Soderbergh (“Magic Mike”) and writer Tarell Alvin McCraney (“Moonlight”) will at least make you consider there’s more to it. “High Flying Bird” is a fully persuasive and savvy piece of insider sports quasi-docudrama, just let it be known it is also very talky and verbose, and occasionally disaffecting for stretches. Some might say it is high accomplishment that the business flap sounds so natural that it cannot possibly be scripted – that often leads to high praise. Yet, here I am as an adult but like a kid, I sometimes wanted something to happen just to interrupt this effusive dialogue. I never wanted to lose hold of it though, and I had no problem playing the movie straight through on Netflix without the desire of a break, and that’s probably due to the fast-talking charisma of Andre Holland who anchors everything. It’s his first lead in a movie, but he’s been seen in “42,” “Selma” and “Moonlight.” Holland plays a sports agent named Ray who, in the bravura opening scene (maybe the best scene), plays counsel to a would-be NBA rookie who just took out a massive loan and now has no money coming in because the NBA is in lockout. If his budding star Erick Scott (Melvin Gregg) doesn’t get paid then Ray doesn’t get paid and his swanky agency too is going to be on hard times because they are not getting paid the full amount to keep their firm above water. It was at this point I wish the film would show us more. Soderbergh shot the entire film on iPhone just like he had last year for his mental hospital ward thriller “Unsane,” a little gem. 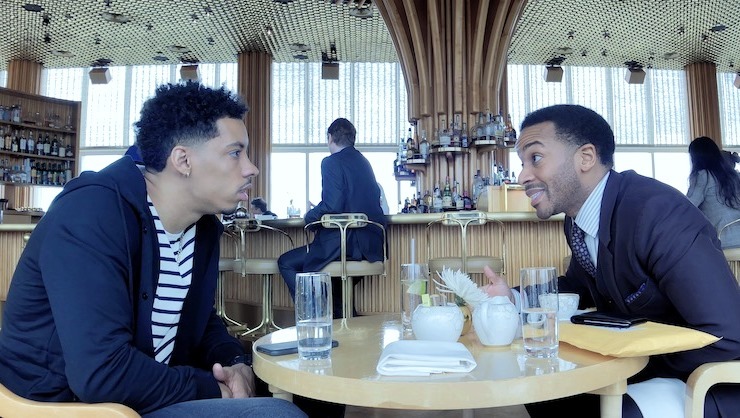 It takes some mastery to make an iPhone shot movie look like a professional movie, ahem, “High Flying Bird” is a professional movie. There is a certain freedom and improv air to a movie like this when actors can play it loose because there isn’t a lot of equipment on set. Holland’s best scenes of camaraderie might be with actor Bill Duke who plays a basketball clinic coach, and Holland’s best scenes of antagonistic conflict might come with Kyle MacLachlan as a prickly head of the owners guild. 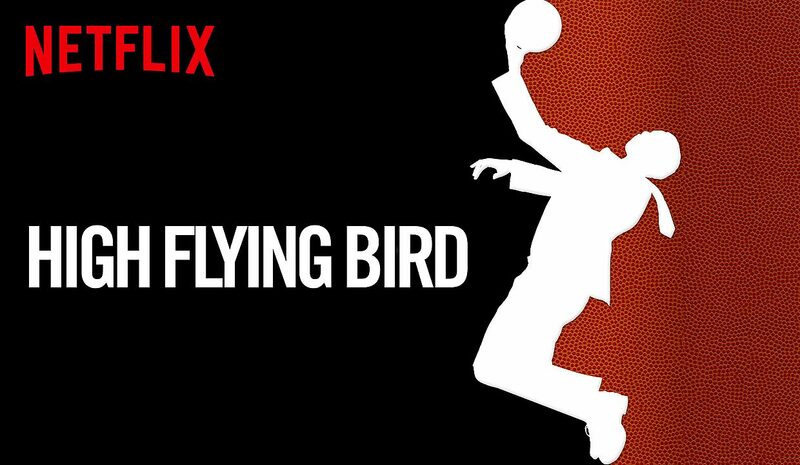 I just wish that I was as giddy for “High Flying Bird” and its inside look for basketball as I was actually giddy for “Moneyball” and it inside look at the business end of baseball. Film Cousins: “Hoop Dreams” (1994); “Blue Chips” (1994); “Jerry Maguire” (1996); “Moneyball” (2011).